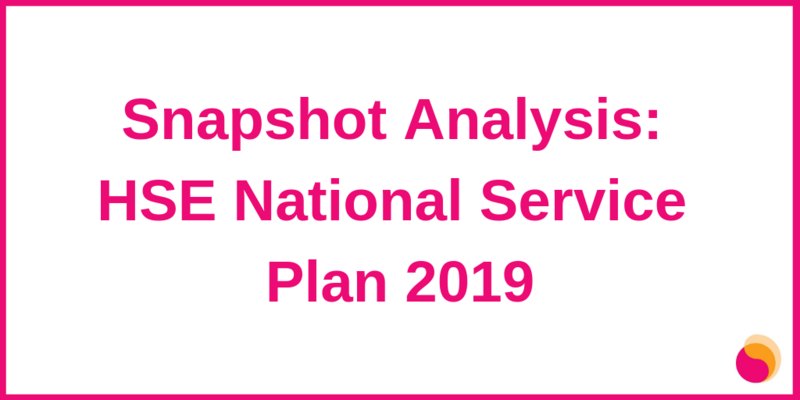 The HSE’s National Service Plan provides a high-level indication of priorities for mental health service delivery in 2019 along with a statement of the overall budget. In prior years, a more detailed Mental Health Division Operational Plan followed the service plan and provided further clarity on the allocation of funding for various initiatives and details of specific developments. Due to the dismantling of the HSE Mental Health Division in 2018, national mental health operational plans are no longer published. Each CHO (Community Healthcare Organisation) provides a regional operational plan for their area which includes information on mental health services. Below are some of the key highlights, especially those related to Mental Health Reform’s Pre-Budget 2019 campaign. You can read the full Snapshot Analysis by clicking here. The mental health budget for 2019 is €987M. This is an increase of 7.9% (or €72M) on the mental health budget in 2018. Despite an increase in the amount of funding allocated to mental health (7.9%) between 2018 and 2019, mental health as a proportion of the health budget has increased only marginally (i.e. 0.15%). Of the total mental health budget, €55M has been allocated to the development of new services in 2019. As of September 2018, there were 9,830 whole time equivalents working in the mental health services. This represents just 77% of the staffing required in HSE mental health services, as recommended in A Vision for Change. development of new mental health services in 2019. In Budget 2019, €50M was invested in new developments in mental health. Continue building staffing levels to ensure that all ‘service users’ have timely access to comprehensive mental health care. Develop 7/7 crisis intervention mental health services for children and young people in every community across the country. meet growing demand and extend access to people on low incomes. Invest in primary care psychology services. Increase capacity of independent national advocacy services for both children and adults with mental health difficulties in hospital and in the community. Allocate funding to implement the recommendations of the Porporino report on the development of mental health supports within the prison system.